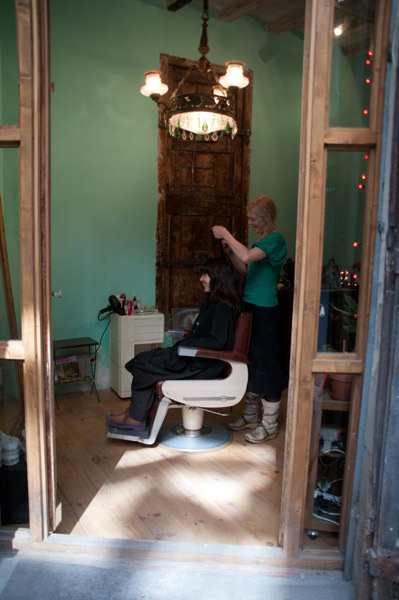 Santa Melena is a small hair salon in the centre of Barcelona where you can get your hair done in Dutch, English or Spanish by a Dutch hairdresser. 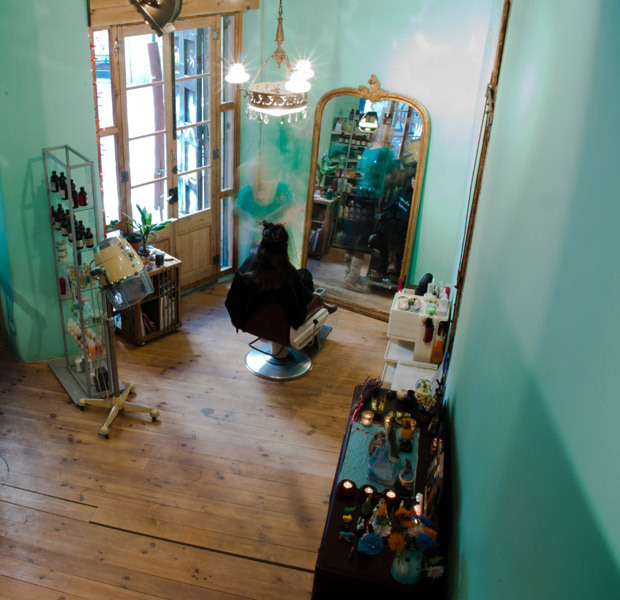 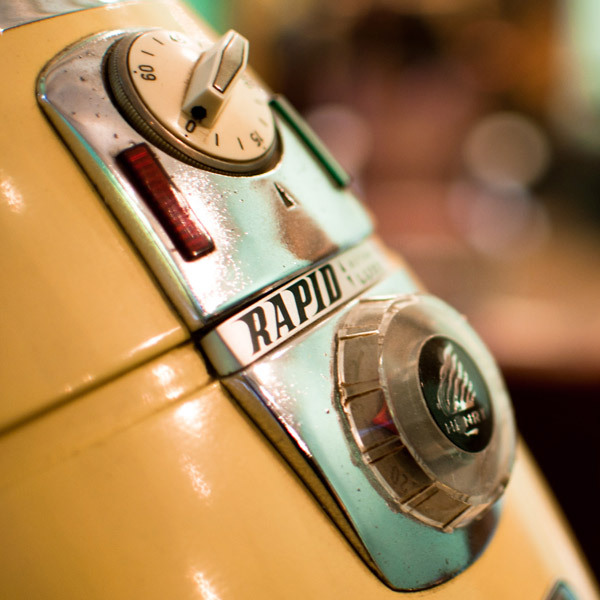 Edith Greiner moved to town about ten years ago and opened up a cute barbershop in the tourist heart of the Catalan capital, in the gothic quarter, eight years ago. 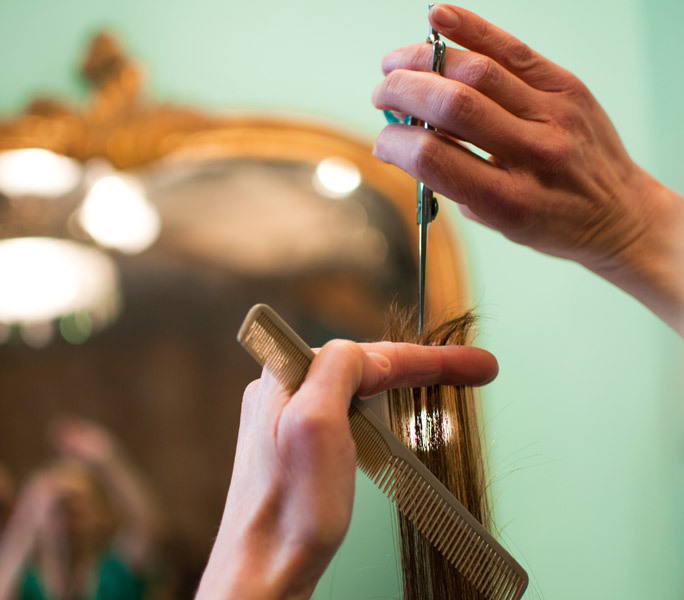 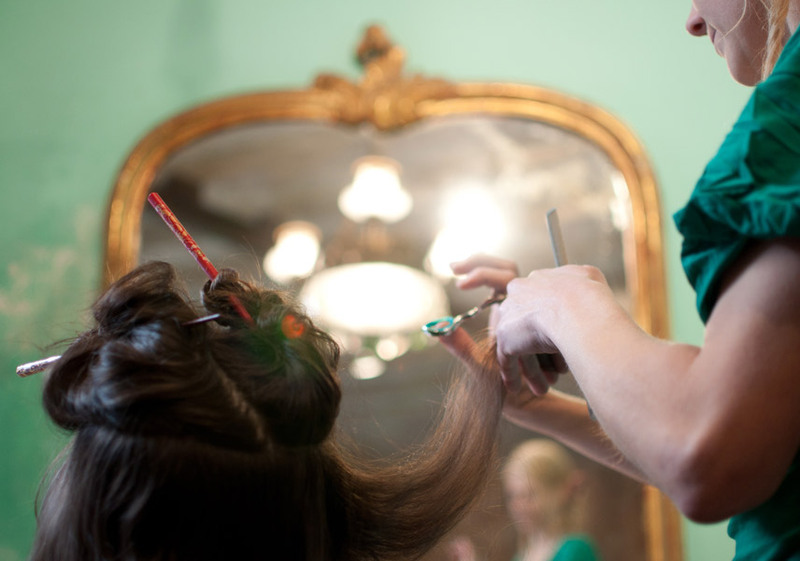 In The Netherlands she worked as a hairdresser in Amsterdam for different well known salons. 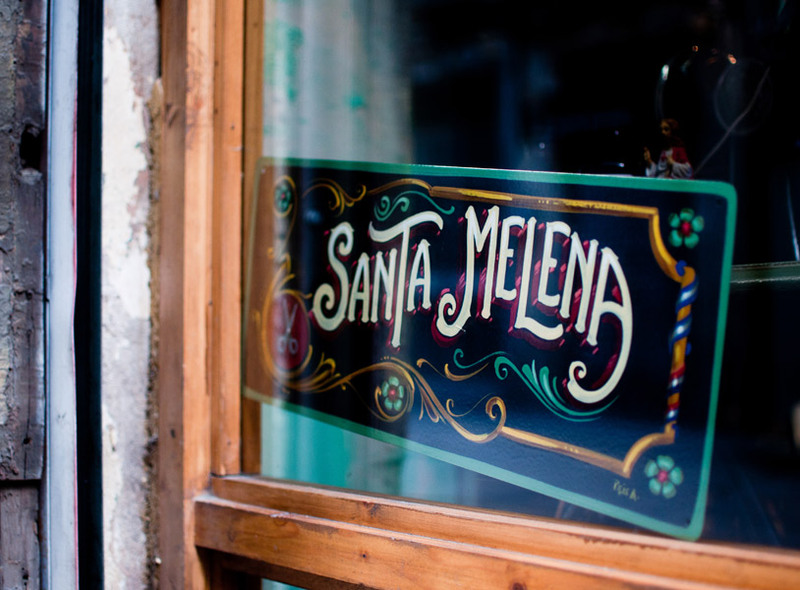 Santa Melena does not stick to the regular opening hours of other shops in town, so make sure you make an appointment in advance by telephone. 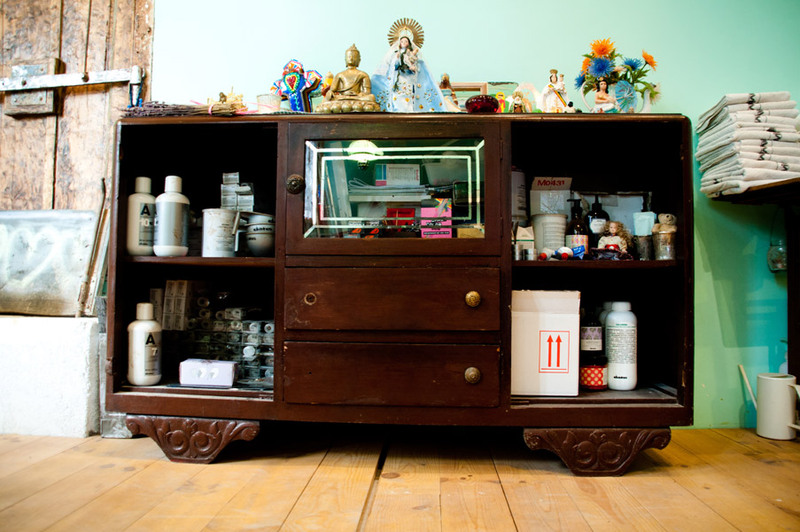 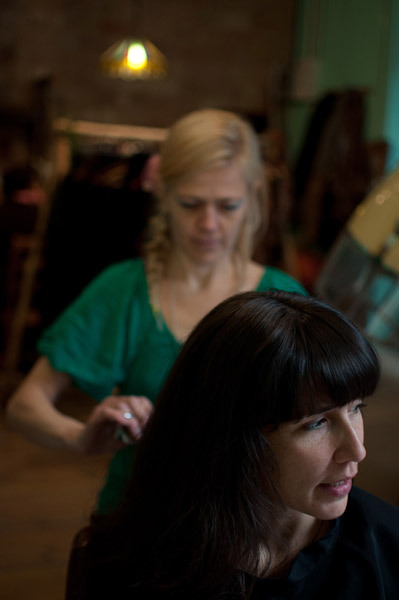 The local fashion brand TRIBU'LË Animas'Nömadas is also located in the salon.